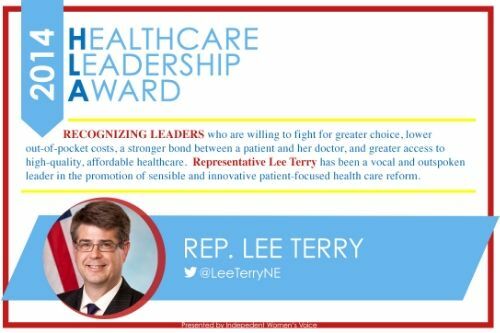 WASHINGTON, DC - As part of Healthcare Solutions Week, Independent Women’s Voice is proud to present Representative Lee Terry with the 2014 Healthcare Leadership Award. He is one of only 15 recipients nationwide. Rep. Terry has been a leader on the issues and in advancing the policies that are essential to truly improving American healthcare.